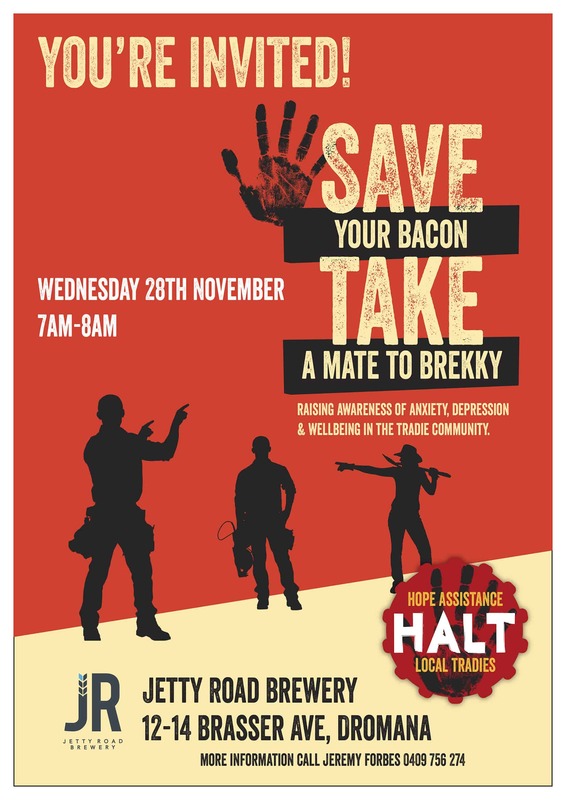 Jetty Road Brewery in Dromana on the Mornington Peninsula are hosting a ‘Save Your Bacon’ brekky from 7- 8am on 28th November. Jeremy will be speaking alongside local mum Kerri McMillan, who recently lost her electrician apprentice son to suicide. Egg and bacon rolls will be donated by local businesses for the event, and coffee will be provided by Little Rebel Coffee Roastery. The event will also include a raffle for the tradie attendees with over $1,500 worth of prizes donated by local businesses. We really appreciate the work of the Better Together Project for helping us organise this event, and look forward to meeting members of the Peninsula community! More info on the facebook event here.